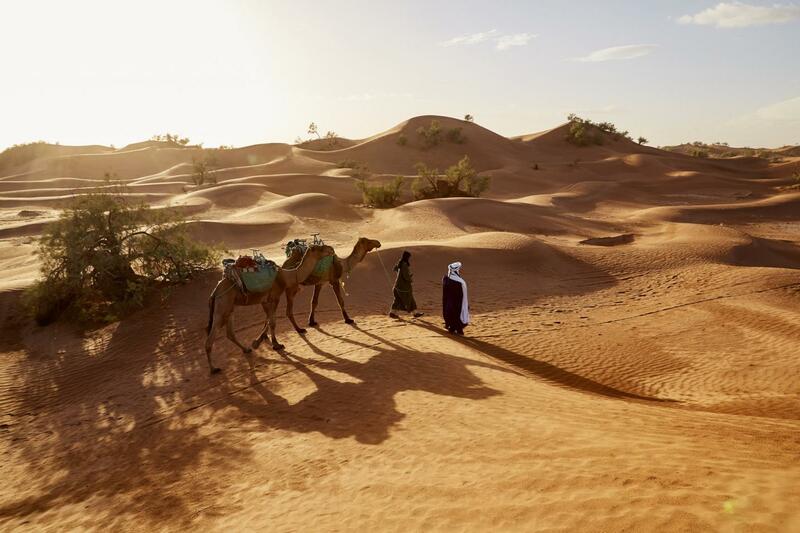 •Discover Sahara Desert of Morocco. MOROCCO SAHARA DESERT TRAVEL offers tours to people who are looking for adventure, fun, pleasure and personal development. Our programs allow you to explore Morocco Imperial cities, Beach cities, High Atlas Mountains and the great desert and give you the pleasure to discover a universe of sand with the most amazing views. You can choose between tours by jeep, minibus or quads. Or you can walk, even with camels, an experience that lets the spirit of the caravans come to life again. On all tours you will learn about the traditions and the culture of the local nomads. During the silent retreats, we offer you the opportunity to deepen your experiences of the soul, the mind and the body with the help of our specially trained team. There will be many more surprises to make sure you will have a varied and deep experience. Thank you very much for sharing your travel experience you had with Morocco Sahara Desert Travel with other here on TourRadar. The fact that you mention you had a wondrful tour with us and means a lot to us! We love to read that you enjoyed all the destinations and activities 100% with us and the itinerary suited you perfectly and you had a lot of fun with us! beceause that is exactly what we want for you and our customers. We booked a private tour for two persons. Our guide Mohamed and driver are very kind and helpful. The trip was very comfortable and we enjoyed the time. Dear Xizi Xiond, Thank you for your feedback about your experience with us in Morocco. We are glad to know that you enjoyed your time with us in Morocco. You are welcome always in Morocco. All the best. Morocco Sahara Desert Travel vs Explore!